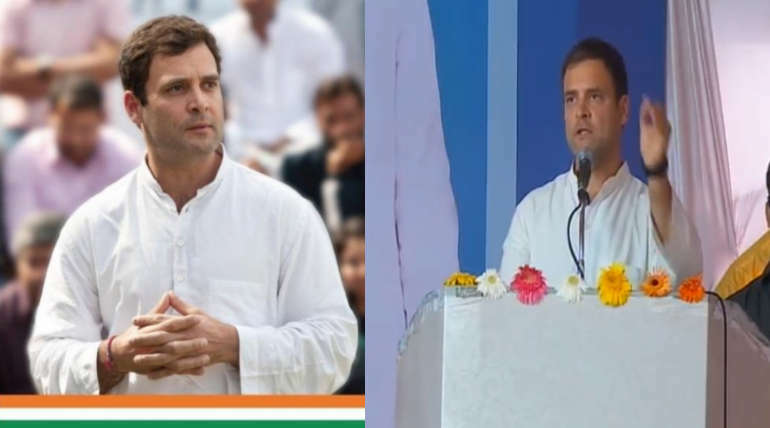 Speaking at the election campaign rally in Krishnagiri, Congress leader Rahul Gandhi said that Rs 72,000 would be given to families below the poverty line and that he would take up this surgical strike to eradicate poverty. 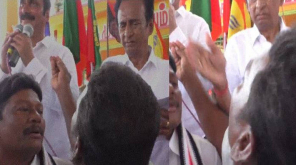 Rahul Gandhi campaigned in Krishnagiri district to support Krishnagiri, Dharmapuri and Vellore candidates. He then said:Tamil language, Tamil people and their culture are important. But the truth is that the voice of the people of Tamilnadu has not yet heard in Delhi. That level will not continue. Now the voice of Tamils ​​will sound. How can you ignore the voice of Tamils ​​can be a perfect Indian identity. That's why , I respect Tamil people and their culture. But Prime Minister Modi wants to impose the same ideology across the country. 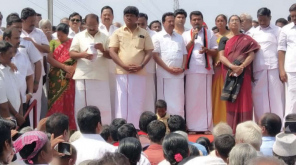 Prime Minister Modi has enslaved the ruling AIADMK in Tamil Nadu. He cannot enslave all the people in Tamil Nadu. People here are hateful to politics, not for love. Our support parties oppose Modi and DMK as they rule India without understanding the diversity of India. Prime Minister Narendra Modi has ruled for just 15 of the last five years. They are great riches like Anil Ambani, Nirov Modi and Mehul Choski. The money for the welfare of poor people, peasants and proletariat in Tamil Nadu has gone to this great boss. Modi will pay Rs 15 lakh in every Indian bank account during the last election. But it did not. He lied. I spoke to some economists about this. Perhaps the poorest people in the country and the people below the poverty line were asked to predict how much money the government would have to pay for the bank account. But do not give me a side report. Simply give the idea. They wrote a number in a piece of paper. It was written as Rs72,000. Economists suggested that the families below the poverty line would be enough to pay Rs 72,000 per annum. This is what I have to do on a pacifist strike. The poor will have economic power. I want to be fair to women. So let me say that the money paid under this fair yojana plan will be paid to women's bank accounts. Next I want to talk about the interests of farmers. Have you seen the peasants who have gone to Delhi from Tamil Nadu for a great job here? Lakhs and billions of crores in public sector banks could not be enacted by the big bosses who fled to foreign countries. But if the poor farmer can not repay the bank loan, the jail has to go. Is this not injustice? We will revise the Agrarian Credit Act to clear this injustice. No poor farmer will no longer have to go to jail for imposing a bank loan. A separate financial status for farmers will be filed. This is a historic project. Similarly, the railway budget will be lodged separately. 10 lakh vacant seats in the local bodies will be filled. Congress rule will be the rule of the people for the people. 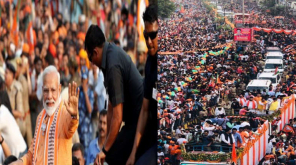 Prime Minister Modi has seized the people's rights by announcing the remuneration. People were waiting in the banks of the ATM gate to take their own money. GSD has been minimized by small, marginal and middle enterprises through 'Kapur Singh Taks' (Gaelic code). Tirupur city Textile Industry Center of Tamil Nadu But that city is affected by GST today. The Silk Capital, the Kanchipuram industry, crippled. 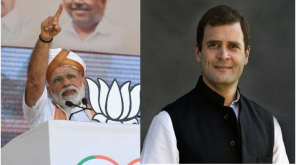 Once the Congress comes to power, they have a solution. Poor people's purchasing power will increase when the scheme is implemented. We take money from the bank and the poor people buy clothes and essentials for them. This will guide a new economy. 33% reservation for women will be ensured. We are considering some ideas to ensure women's safety. Finally, we will not let the people of Nagpur (RSS) to rule Tamil Nadu. The people of Tamil Nadu will rule. Stalin will rule as the Chief Minister of Tamil Nadu.